Effie's Homemade was founded by Joan MacIsaac and Irene Costello, two friends who have known each other for more than 30 years. 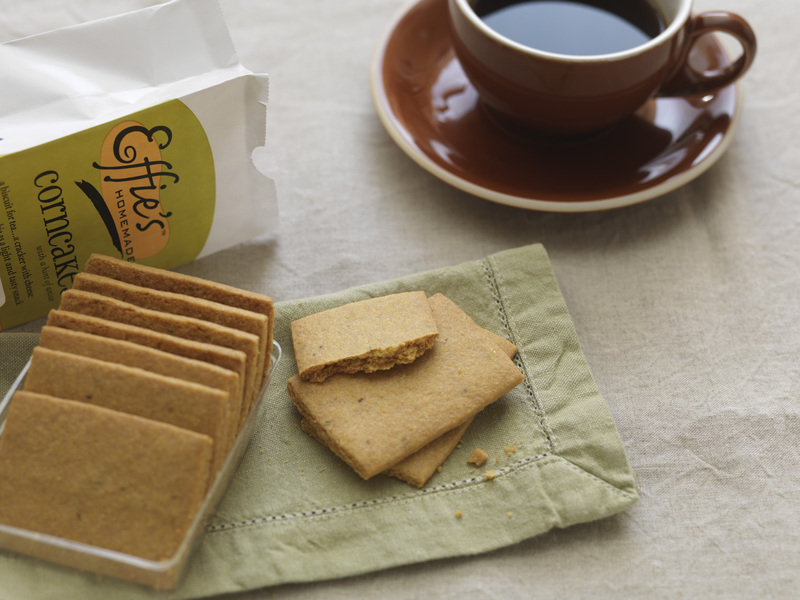 The inspiration for the company comes from Joan’s mom, Effie MacLellan, and her recipe for Oatcakes. Effie grew up on a rural farm in Cape Breton, Nova Scotia. Like many traditional farmhouse recipes, Joan and Irene realized the uniqueness of Oatcakes is in their honest and simple flavors. All of their products are based upon this premise as they rekindle old-fashioned and forgotten recipes.